Your most important investments are your family and home. You should be comfortable there. Even during a deep winter freeze or a sweltering Georgia summer. And your comfort should make sense financially. 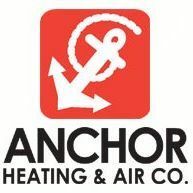 As a family-owned company, we share your desire to keep your family comfortable. Your home or office will be better for our being there. Respect within the community and within the industry has been the key to our successful past, and we see no reason to let that respect diminish. Our future is committed to serving our customers and community with the very best that we have to offer.